Lugarde Prima Fifth Avenue 180 x 180cm Summerhouse: This Lugarde Prima Fifth Avenue summer house is one of the smaller summer houses from Lugarde. It is ideal for smaller gardens of limited space offering the ideal place to sit and enjoy your garden. 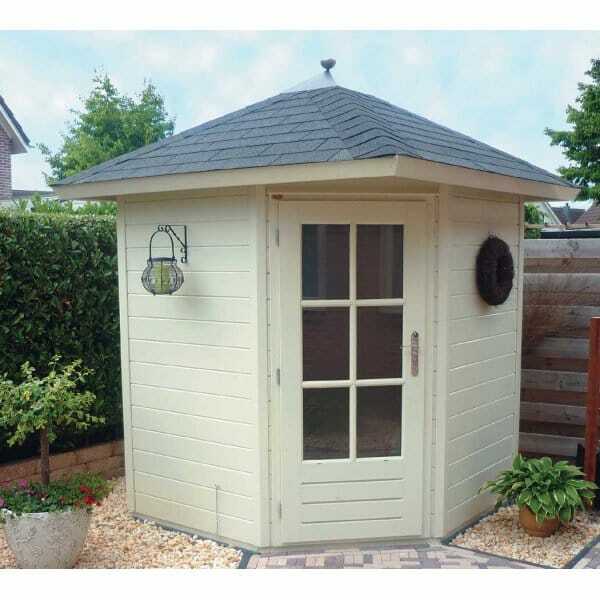 This corner summer house is also ideal for storing your patio furniture or simply as a place to spend time in the garden and relax.